~~I've been thinking a lot about what to write concerning nutrition. Like I mentioned, it's become something that I'm personally passionate about so I could probably write for days. But don't worry. I won't! ~~One of the biggest things that I would like to share is that eating whole, natural foods is not a "diet." I hate that word. It brings up so many negative feelings for most people. Even if one of your goals is to lose weight you should approach healthy eating habits as "lifestyle changes," not a diet. ~~We are always hearing about the latest fad diet. Most of them are about eliminating certain foods or food groups or laboriously counting calories, fat grams, points, etc. By their very nature diets cause you to over-focus on food. ~~How many times have you declared that you're no longer going to drink soda or eat fill in the blank? And what happens? You go a few days, maybe even a week, but before you know it you've given in. And all during that time period you're thinking about that forbidden treat you can't have. ~~So, what is the solution? Instead of focusing on giving up bad foods, start adding in the good ones. * Have fruit for breakfast or oatmeal with cinnamon and agave. *Experiment with Green Monsters and have one a day. My favorite combo: almond milk, 1 frozen banana, hemp protein powder, 1 Tbs almond butter, 1 Tbs carob powder, and a whole lotta spinach. *Have one big salad every day. Experiment with new combinations. My best advice is to buy a big box of organic salad mix. Then keep your favorite salad toppings handy in the fridge. You can add any combo of: avocado, sun-dried tomatoes, bell peppers, sprouts, broccoli slaw, nuts, seeds, beans, etc. Make up your own healthy dressings. (I'll give some recipe book and website ideas later in the post.) One that I enjoy is: one part olive oil, one part hemp oil, and some garlic powder. *Make it a game to try new fruits, vegetables, etc. As your tastebuds start coming back into balance you'll find yourself very sensitive to the flavors of food. And don't be afraid to "re-try" things that you didn't think you liked. I don't believe that anyone should ever force themselves to eat something they don't like simply because it's healthy. Yet I found that as my tastebuds changed I began to like foods that I once wouldn't eat. Like avocados which are now one of my favorite things. ~~As you begin to add more and more whole foods into your diet you'll find that you begin to lose your cravings for processed foods. Believe me. It works. I was the girl who had to have a Diet Coke every day. And I never forced myself to quit. But as I began to eat better foods I found myself, first not needing it and finally, not wanting it. Now I actually cringe at the thought of putting those chemicals into my body. ~~Approach changes in your nutrition as an adventure. Have fun trying some new recipes. And speaking of, I thought I'd share some different resources that I've been finding helpful. 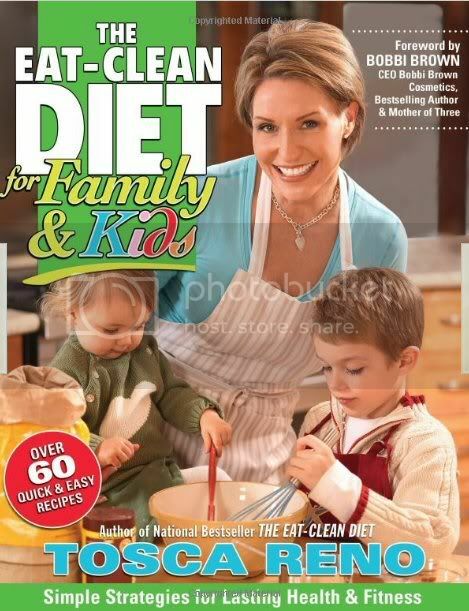 ~~I mentioned Tosca Reno and her Eat Clean books. These are great resources for those who still choose to eat meat and dairy. I won't go into the "meat issue" right now but one big problem is that meat today is not the same as it used to be. Just yesterday I heard of another major meat recall. (Watch this.) If you do choose to keep those things in your diet I would definitely look for hormone/steriod free, free-range options or even search out a local butcher or meat processor. This is one of the first books that I started with. ~~As I began learning more about the vegetarian and vegan way of living it made so much sense. (Watching Food, Inc. reaffirmed that.) 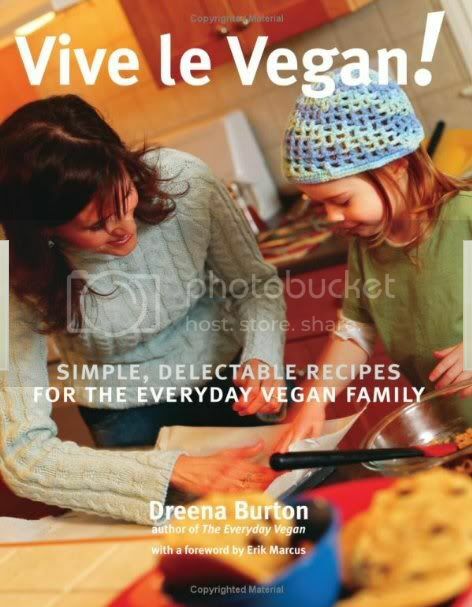 So I began looking for family friendly vegan/vegetarian resources. ~~I'd like to mention Thrive again. It's an awesome book. But the recipes can feel a little overwhelming when you're first beginning to transition into whole foods. Brendan uses a lot of harder to find ingredients and super-foods. These are all great but don't think that you have to eat complicated things to be healthy. Tim VanOrden of www.runningraw.com says that he only eats things that can be found in any local grocery store. And you should check out his awesome accomplishments! ~~One of the best resources I've found is Dreena Burton and her wonderful cookbooks. She has a blog where she often posts recipes. I have both Vive le Vegan and Eat, Drink and Be Vegan. Even if you don't plan to cut out meat you should definitely check out her books. And I have to say that she's the wizard of vegan cookies. Every single cookie recipe that I've tried has blown the traditional egg, white flour, white sugar recipe out of the water! ~Peas and Thank You (Super Veggie Mom who will make you laugh every day. ~~And, as always, my best resource is Google. Seriously. If you've got an idea for a recipe then Google can probably help you find a vegan or healthy version. Great posts! Well said.... you know we feel the same way you do about all these topics. The more we all spread the information the more people we can touch and help!! At least that is what I keep telling myself. :) Thanks for the mention! Aww, thanks so much! And you know I love Dreena too. You are obviously giving your family a tremendous advantage in life. Great work!!! Thanks for all of the links; some blogs I hadn't seen before! Thanks for your post on my blog, too! Thanks for sharing such good info, Kasie!I am so interested in this way of eating,too! I like your positive idea of adding in good stuff instead of trying to cut out the bad! !